We looked at some details in the previous article. 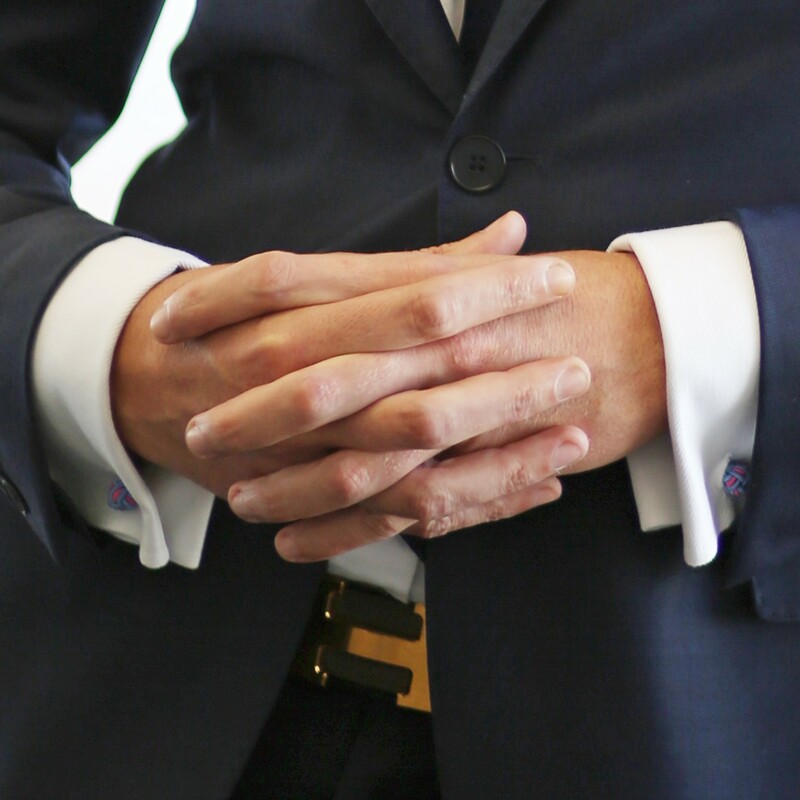 Pocket Squares and Cuff Links. Now we will look at two other pieces. The Belt as your pants won’t hold themselves up… and Socks as… yeah, do I really need to explain that one. Belts are usually hidden, with just one purpose — to hold your pants up. When dressing professionally, belts are just as important as other accessories like neckties and can become a part of your overall style. Just like shoes, no single belt will fit with all outfits, so it’s important to have a selection to choose from. Whether you’re searching for one that’s subtle, goes with your wardrobe, or makes a statement, each look can be achieved with this one accessory. What NOT to do: Wear a belt that doesn’t match your shoes, that will look neglected really fast. If you have special shoe colors that need to have a matching belt, your shoemaker will usually have belts made from the same leather. Or get a cobbler to make you a belt strap. What to do: Wear something subdued, if like me you like to make a statement you can go the designer route, if not your department will have suitable options. Choose quality leather. I personally have a belt habit (some could qualify that as a problem…) meaning I like belts and see them as a piece of Jewelry. On the photo above, this a 32mm Hermes H Belt in Pewter Gray. It’s not for everyone, and you can find quality belts that are much more reasonable. When we did that photoshoot with Obaid from Oby Foto, we didn’t plan on me writing an article about socks. So We don’t have a photo to illustrate… You will have to make your imagination work. What NOT to do: White Socks, Ok, I needed to put that down immediately. Don’t throw them away, go and donate them to Goodwill, that will keep them out of the landfill. But that’s it. Dark Socks are fine as long as they are thin and at least mid calf in height… why, because No one wants to see your prickly or hairy calves. NO sport socks, or ankle socks (that are acceptable when you were sneakers in a casual setting). Business Look with Belt and Socks. We learned that those two accessories can make a statement in either a good or a bad way. And it’s not like the pocket square and the cufflinks that can be skipped altogether. You HAVE TO wear a belt and socks… So, don’t mess up this could break an outfit real fast. What are you wishing for 2019? How do I get more visitors to my website? Media Relations, how important are they?